Dr. Freda Fair is an interdisciplinary scholar and teacher who studies race, gender, sexuality and culture in the United States with a focus on the American Midwest. Freda earned their Ph.D. in Gender Studies from the University of California, Los Angeles in 2016. Freda's research interests include queer politics and aesthetics, women of color feminist thought, labor, and social movement responses to policing, normativity, surveillance, and precarity. 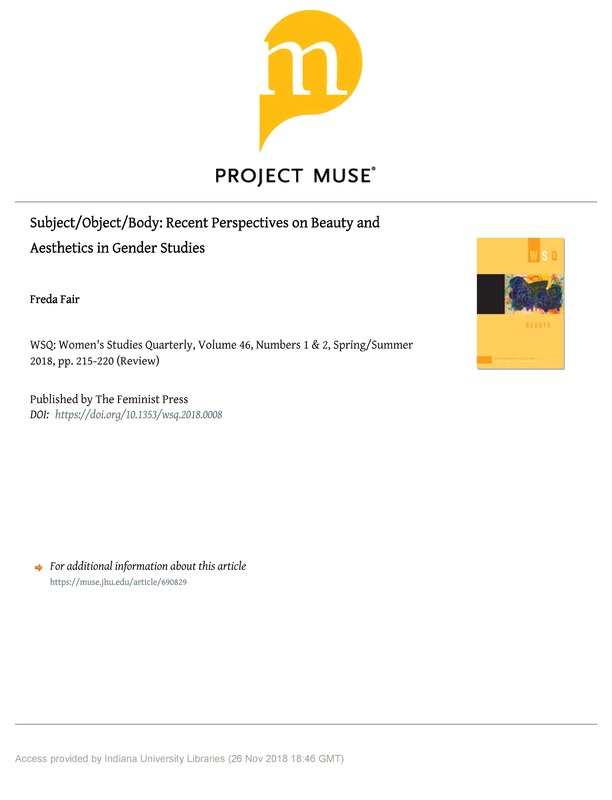 Freda is currently working on their book manuscript, Liminal Erasures: Midwest Black Sexual Personhood in Visual Culture, that examines African American labor and aesthetic challenges to sexual regulation and surveillance in the Midwest. The project argues that liminality operates as a nuanced form of national and regional power that actively regulates and surveils black gender and sexual difference. Drawing on archival and visual cultural examples, the study details the ways in which liminality operates as a political process that positions the American Midwest as an effective site to capture and move forward living tensions that exist between American liberal democracy and capitalism.